Meet some of the RAIN Girls Who Code on another Happy Wednesday! 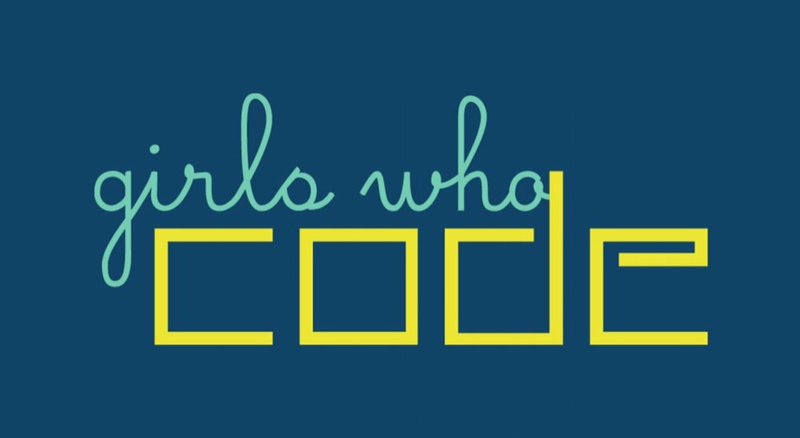 Girls Who Code is a national Club that is designed as a free after-school program for 6th-12th grade girls to join a sisterhood of supportive peers and role models We use computer science (CS) to change the world with a mission to close the gender gap in CS. Clubs are led by adult facilitators. The Girls Who Code curriculum is designed for students with a wide range of computer science experience. We have activities for students with zero computer science experience all the way up to college-level concepts. Girls will learn to use computer science to impact their community, and join a supportive sisterhood of peers and role models across the US. Become part of a safe and supportive environment of peers & role models. Work on a team to design and build a Computer Science “CS” Impact Project that solves real world problems they care about. Gain exposure to real-world project management and problem-solving techniques. Learn the foundational computer science of loops, variables, conditionals, and functions that form the basis for all programming languages - whether they want to build a website, an app, or a robot. RAIN's GWC meets most Wednesdays from 3:30 -5pm until June. We always accept newcomers and love mentors with experience in programming! If you are interested in joining our free RAIN GWC Club contact Kristine Grace kristineg@rainincubator.org for more information or fill out the form below!